Cape Town International Airport has embarked on a major upgrade project totaling R7 billion over the next five years. 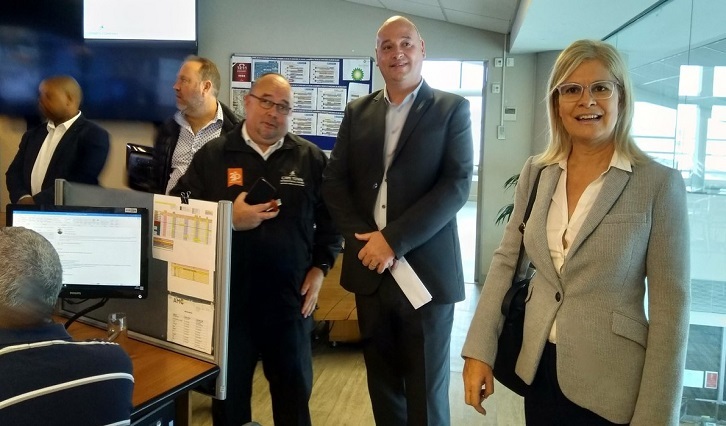 General Manager Deon Cloete briefed the media in Cape Town. He says major projects include re-aligning the runway, refurbishing the domestic terminal and expanding the international terminal. The Western Cape Minister of Economic Opportunities Beverly Schäfer says the upgrading of the Cape Town International Airport will boost the province’s drive to grow the tourism sector. Airport City has already contributed R4,7 billion to South Africa’s economy. Schäfer visited the airport for a briefing on future upgrades. R7 billion will be invested over the next 5 years to re-align the runway, refurbish the domestic terminal and expand the international terminal. Schäfer says the upgraded Airport will result in greater air access into Cape Town and the province. The post Cape Town International Airport gets a facelift appeared first on SABC News – Breaking news, special reports, world, business, sport coverage of all South African current events. Africa's news leader.. PREVIOUS POST Previous post: What causes greed and how can we deal with it?